By David Skolnick | April 14, 2018 at 12:00a.m. Lt. Gov. 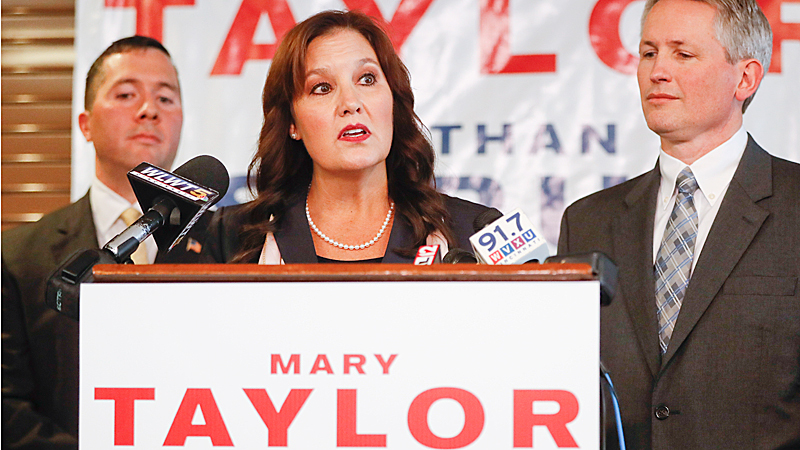 Mary Taylor, who is running as a Republican gubernatorial candidate, sharply criticized her opponent, Attorney General Mike DeWine, as an out-of-touch liberal in an increasingly bitter GOP primary race. Taylor said DeWine’s refusal to debate her “is a complete disservice to those very voters he is asking to support him” in the election. “We think it’s important for voters to be informed and so we are reminding voters of Mike DeWine’s liberal record,” she said. On Friday, Taylor began airing a television and digital commercial called “962,” that talks about the 962 times DeWine voted with Hillary Clinton between 2001 and 2006 when the two were in the U.S. Senate. DeWine’s campaign fired back, sending a cease-and-desist letter to TV stations airing what it called “false and deceptive advertisements” from Taylor. “Lt. Gov. Mary Taylor has built her entire campaign on one lie after another,” said Ryan Stubenrauch, DeWine campaign spokesman. Taylor said she is telling the truth about DeWine’s voting record. “Republican primary voters are sick and tired of the establishment who runs a campaign professing to be a conservative but once they get elected, they don’t govern as a conservative, and that’s what Mike DeWine is” doing, she said. April 13, 2018 3:19 p.m.
April 29, 2018 12:07 a.m.